In the first part of theis report we talked about features of the new camera and in this part we’ll take a look on image quality. The Canon 6D MK II used SD memory cards and not like the Canon 5D MK II the bigger and more expensive CF memory cards. I cna live with this change because now i can interchange the memory cards between the Canon 6D MK II and my Lumix G81 which uses the same size memory cards. Canon got a lot of criticism because there is no second card slot for a backup or to store JPEG files on the one card and the RAW files on the other. I can even live with this one because the Canon5D mK II didn’t have a second card slot. 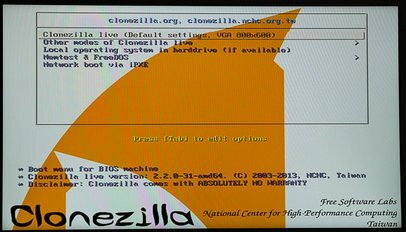 Since the camera according to the technical data can write with a speed of 77 MB/sec. 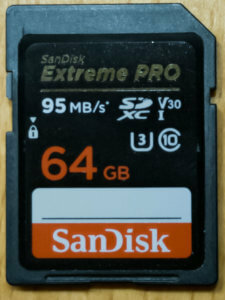 i use the Scandis Extreme Pro cards which are suitable for up to 95 MB/sec. 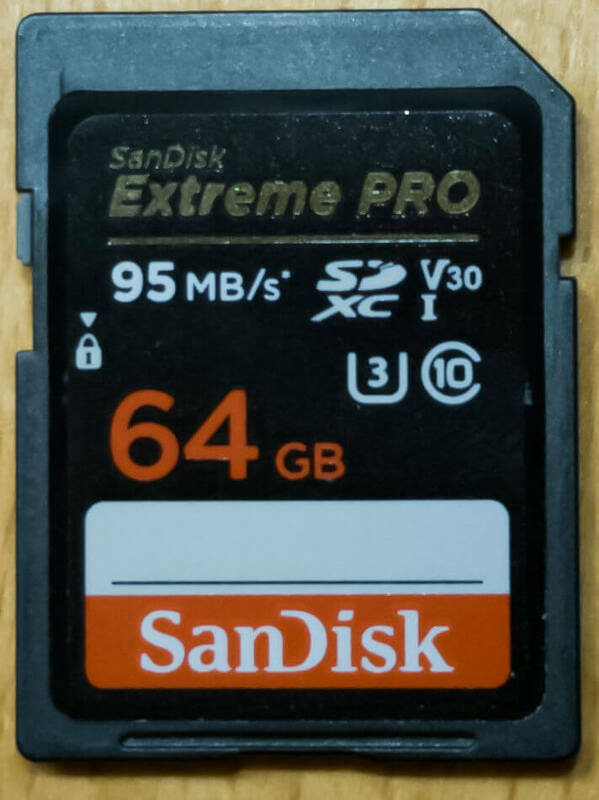 I use card sizes of 64 and 32 GB. With the new AF-Modul there was a lot of criticism because the AF fields are arranged very close to the middle of sensor so it would not be possible to work creativ with objects far away from the middle. First of all we’re talking about 45 cross-sensors and this is a tremendous improvment compared to the Canon 5D MK II which offers onyl one cross sensor in the middle, so that seonsor is used most of the time. 9 AF fields can be grouped and moved within the range of all AF-fields. Very helpful is focus mode knob near the release button which allows a quick change between the different AF methods (automatic,group,spot af). Selecting a focus point now is done with the multi-function wheel. This is not as comfortable like the joystick but it works. 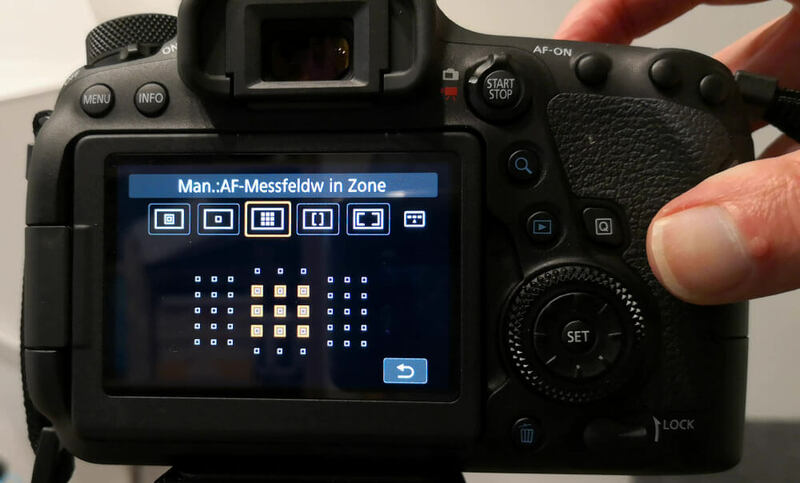 The Canon 6D MK II also uses a Dual-Pixle AF in liveview mode, which is very accurate and allows to move the focus point outside the AF-field. The Canon 6D MK II offers a sensor with 26.1 MPix which is about 5 MPix more resolution compared to the Canon 5D MK II. This offers a little bit more reserves. The ISO range was extended to a max. of 102.000 ISO and 40.000 ISO in automatic mode. These ISO ranges are only about better a bad and noisy image rather than no picture at all. In the above comparism the right side is the unprocessed part of the image while the right side is with noise reduction applied. ISO range arround 3.200 or even 6.400 are very usable. Opening up the shadows of an image or increase the overall brightness will bring the sensor to its limits. Brightning up the image by 2 EV stops will look good even at 100% but doing the same with 3 EV stops will result in a pretty noisy image evewn at ISO 100. 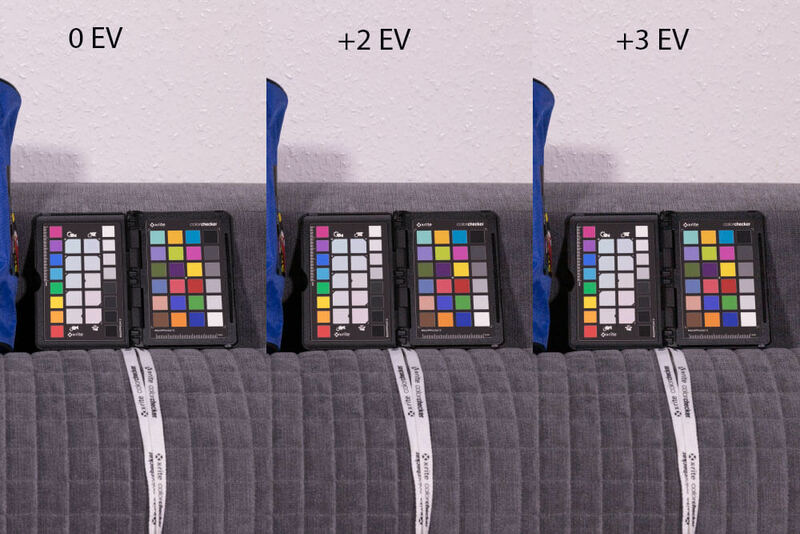 According to DxOMakr the dynaic range of the sensor is 11.9 EV which is the same like in the Canon 5D MK II. But i knew about this fact and it didn’t worry me. Anyway image quality is really good with my set of Canon L lenses like the Canon 16-35/4.0 L IS, 24-70/$.0 L IS and 70-200/4.0 L IS. Canon was never focused on video. The Canon 6D MK II finally made it to record 1080p at 60fps which is not a large improvement compared to the 9 year old Canon 5D MK II. If you’lre looking for 4k video you’ll get disappointed, this feature is reserved for the more expensive bodies like the 5D MK IV. But the video mode now is more usable because of the Dual-Pixel AF, which recognizes faces and sticks with it, and the rotating display. But if youre main purpose is video you should get yourself a Lumix G81,G9 or even a GH5, which do a better job on video. While testing the video capabilities i occured focusing noises with the 16-35/4.0 and the 24-70/4.0 L IS even though i used an external microfon. On the other hand the built-in microfon gives a pretty good audio quality. The Canon 6D MK II is at least too me a upgrade compared to the 5D MK II. In particular autofocus system, the display and the GPS modul are nice features even though that the dynamic range of the senosr is qual to the one of the Canon 5D MK II.